If light flooding into your home is important to you, you enjoy fresh air and want to let some of the outside in or you are just looking to open up access to your patio or garden, you will be looking for doors which help you achieve your objective. Sliding patio doors are quickly becoming the architects and homeowners and while French and bi-folding doors have their own characteristics, in the eyes of many, sliding doors have the edge. Here’s why. A sliding glass door enables you to open up an entire wall or as much of it as you want. This isn’t possible with French Doors, which will allow you to access your garden easily but are more suited to smaller openings not exceeding 1.8m. French doors will open your room up and they do not need a central support, so they provide a clear view but unlike sliding doors have a lot of frame to them. Bi-folding doors are another popular choice. These doors comprise a minimum of three units that fold into each other concertina style. Because each unit has to be framed when closed, they obscure the view in the way a sliding unit doesn’t, even more than a normal window in fact. Space is a crucial factor when considering patio doors. With folding doors, the clue is in the title. These door units have to fold somewhere, and this means that they are going to protrude into the room, taking up valuable space. Sliding doors can be fitted to open externally, on the inside, or even slide into wall cavities. They can be bespoke, taking into consideration height, width and consequent weight. This is a factor you need to consider if you are working with an architect on a house you are going to have built, so the most appropriate choice can be built into the design. Sliding doors need much less space than other alternatives. If you choose, you can have frameless structural sliding doors, although these are the most expensive of all patio doors. Cost is an important factor when making improvements to your home and while sliding doors will be an investment that adds to the value of your property, few people have limitless budgets. 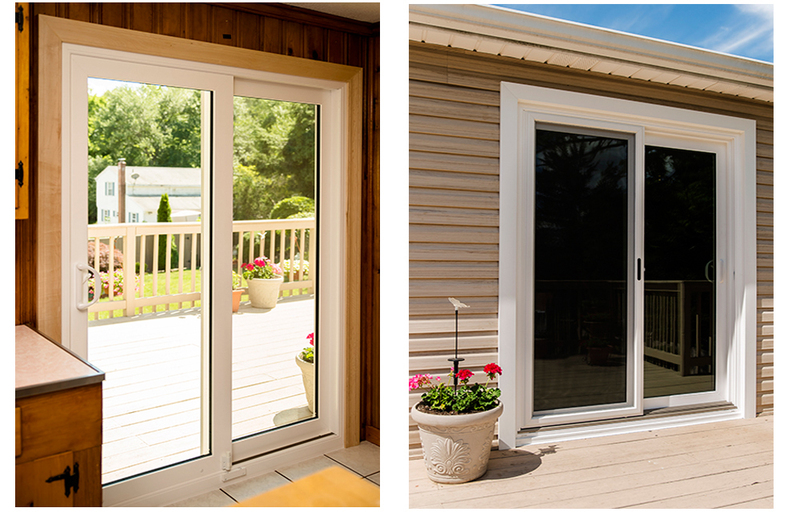 The good news is that, all though it is difficult to compare costs between different types of patio door due to the different factors in play, such as size, materials used, additional features, including doors, locks, handles etc. sliding doors usually do have the edge in terms of being the most cost- effective option. Given all the above factors, it is hardly surprising that sliding patio doors are coming out on top. Modern runner mechanisms make opening and closing the doors ergonomic and there is certainly something expensively luxurious about being able to slide doors and open up an entire wall and, when the size of your patio or terrace is taken into account, double the size of a room, such as your kitchen. Finally, sliding doors don’t slam like French doors when the wind catches them on a blustery day. That has to be a big advantage.